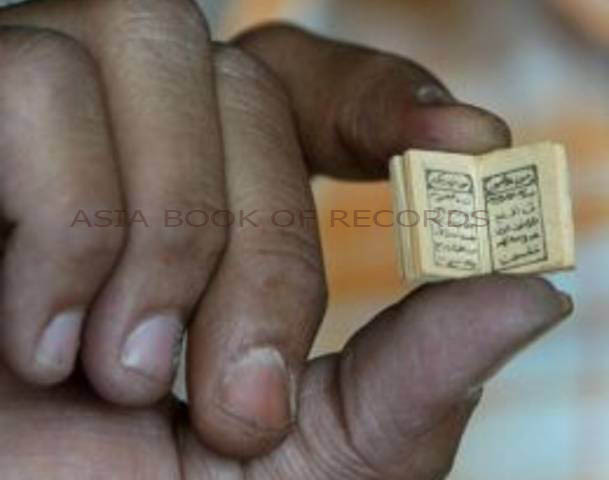 The smallest published Koran is owned by Dr Muhammad Saeed Karim Beebani of Pakistan. It measures 1.7 cm × 1.28 cm × 0.72 cm (0.66 in × 0.50 in × 0.28 in). It was published in Cairo in 1982, in an unabridged, bound version, in fine print Arabic and contains 571 pages. Comments for SMALLEST KORAN are now closed.